Ready for some new windows? We can help with exemplary customer service and expert installation. There are two types of window shopping. One is a fun way to kill a few hours – wandering around a shopping district viewing but not purchasing. The other type of window shopping is actually shopping for windows rather than looking through them. If you have had enough with the limitations your current windows provide, give us a call at Wendell Siding to learn about common and specialty windows that will have a huge impact on the appearance of your Raleigh, North Carolina home and how you live within its walls. We work with the top name brands of windows to be able to provide you with the options you need for window replacement, whether you are looking for added beauty for your home, more energy-efficiency, ease of maintenance and cleaning, or a combination of benefits. When you contact us to schedule an appointment, the project consultant will go over all your options so you can make an informed decision about the style, size, and budget that work best for you. Feel free to ask about bay windows, bow windows, picture windows, double-hung windows, skylights, and anything else you are interested in learning more about. 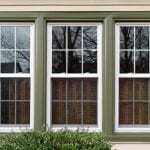 It doesn’t matter whether you are looking to replace just one window you hate or want replacement windows for your entire home; you will find we provide unrivaled customer service and quality workmanship you can depend on. We have been exceeding our customers’ expectations since we began business in the early 1980s, and we look forward to putting our 25+ years of experience to work for you. Call today to learn more. Coming home each day to a beautiful property is something we can help you with here at Wendell Siding. We can transform your Raleigh, North Carolina home with new roofing, windows, siding, and more.